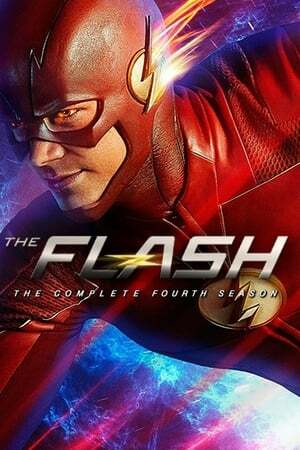 With Barry in the speed force, Iris, Kid Flash, Joe and Vibe have taken over protecting Central City. 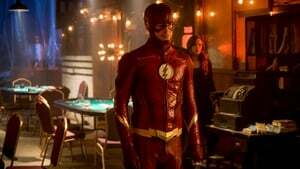 However, when a powerful armored villain threatens to level the city if The Flash doesn't appear, Cisco makes a risky decision to break Barry out of the speed force. However, the Barry that comes out isn't the same Barry that went in. Barry has his hands full when he takes on a dangerous meta who can control technology, while also confronting an obstacle in his personal life: the ramifications of abandoning Iris for six months to balance the Speed Force. Meanwhile, Gypsy breaches in for a hot date with Cisco, but she gets annoyed when his work keeps them apart. Barry and the team are hit by a string of bad luck and realize it is the handiwork of a new meta, Becky nicknamed Hazard, who has the ability to give others bad luck, while cashing in the benefits for herself. Meanwhile, Harry Wells returns to Earth-1 to give Wally a message from Jesse. Cisco is shocked when Gypsy's father, Breacher, shows up on Earth-1. Breacher takes an immediate disliking to Cisco and decides to hunt him. Meanwhile, Barry runs into his old nemesis, Ralph Dibny. Having received an ominous threat from her old boss, Amunet, Caitlin fears that her past time as Killer Frost may be back to haunt her. Felicity comes to Central City to help the girls celebrate Iris's bachelorette party, while Cisco, Joe and the guys take Barry out for a night on the town. When collectors of Native American artifacts are attacked by a meta named Mina Chayton who can bring inanimate objects to life, Barry turns to a surprising ally for help. 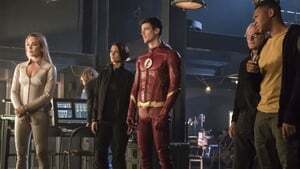 Determined to crack the identity of The Thinker, Harry enlists Cisco's help to summon the ultimate think tank: "The Council of Wells'," a roundtable of the brightest Harrison Wells' from various Earths. 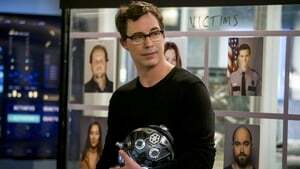 Barry comes face to face with DeVoe. 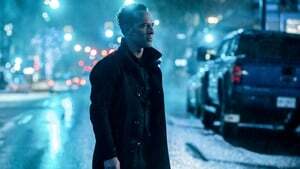 Devoe's past is revealed through flashbacks. Meanwhile, Iris puts the final touches on the wedding, which is a week away. Barry and Iris's wedding brings the gang together, but things go awry when villains from Earth-X attack the ceremony. All of the superheroes band together with help from their super friends like Citizen Cold, The Ray, Felicity Smoak, Iris West and Alex Danvers to take on their most formidable villains yet. Earth's mightiest heroes - Green Arrow, Supergirl, The Flash and White Canary - lead their teams into battle to save the world. 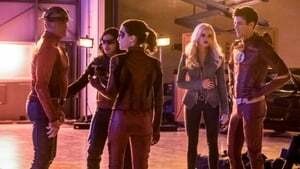 The crossover starts on Supergirl S03E08 Crisis on Earth X (I) and Arrow S06E08 Crisis on Earth X (II). 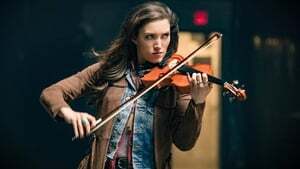 It continues on DC's Legends of Tomorrow S03E08 Crisis on Earth X (IV). Amunet kidnaps Caitlin and puts meta-dampener handcuffs on her to keep her from turning into Killer Frost. Amunet tells Caitlin she needs her to perform a tricky medical task and if Caitlin fails, Amunet will kill her. Meanwhile, The Thinker traps The Flash in a speedster-proof prison. 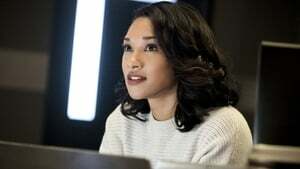 With the clock ticking, The Team doesn't have the time or resources to track both Caitlin and Barry so Iris is forced to choose who to save. 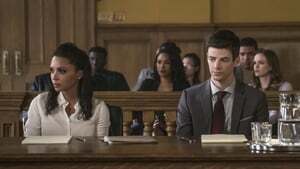 As Barry’s trial for the murder of Clifford DeVoe begins, Iris and Joe must decide how far they are willing to go to keep Barry out of prison. When a familiar villain returns to terrorize Central City, Ralph must rise up to defend the innocent while Barry is detained by his trial. Meanwhile, Barry searches for the strength to keep his optimism alive in the face of his new circumstances. 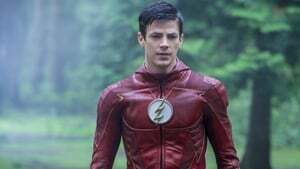 A meta who can shrink anything he touches battles Team Flash. Cisco and Ralph get caught in his crossfire and are shrunk to miniature versions of themselves. Cecile realizes her pregnancy has caused her to have temporary powers and discovers she can hear other people’s thoughts, which unnerves Joe. Meanwhile, Barry meets someone with a mysterious connection to Henry Allen. After hearing that Amunet has struck a deal to buy all of the metahumans in Iron Heights, Barry must decide if he should expose his powers in order to save his cellmates. After a visit from an old friend, Ralph is reminded of his shady past and wonders if he’s really a changed man. Barry meets a powerful woman whose abilities could help him in his battle with DeVoe. Meanwhile, after learning that DeVoe is targeting everyone who was on the bus, Ralph decides he doesn't want to be a hero anymore, his only concern is staying alive. Harry offers to help Joe. When a nuclear bomb detonates in downtown Central City, Barry, Jesse Quick and Jay Garrick slow down time by entering Flashtime. As everyone in the city is frozen, the three speedsters push themselves to the breaking point to save the city and everyone in it. Team Flash confront a new bus meta, Matthew aka Melting Pot. He has the ability to swap people’s DNA, so during a battle with Team Flash, he transfers Barry’s super speed to Iris. Now, with a new threat unleashed on Central City, Barry must act as the team leader while Iris takes on the mantle of superhero speedster in order to defeat their new foe. Barry and Ralph take different approaches to finding the remaining bus metas before DeVoe gets to them. However, Ralph's cavalier attitude frustrates Barry and the two clash over what it means to be a hero. Meanwhile, Breacher returns to ask Cisco for a favor. 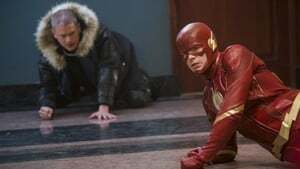 When Barry and Team Flash find a way to enter The Thinker’s lair, Ralph considers crossing a dangerous line to defeat DeVoe. Meanwhile, Joe is concerned by Harry’s recent behavior. When Barry needs help transporting a dangerous meta, he calls on a new friend for help - Leo Snart AKA Citizen Cold. Meanwhile, Cisco becomes suspicious of Harry. 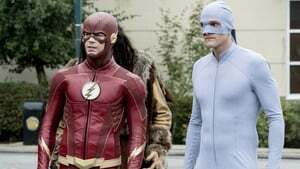 Barry and Team Flash team up with Gypsy to try to thwart Thinker's plan. Meanwhile, Cisco and Gypsy have a heart to heart talk about their relationship. 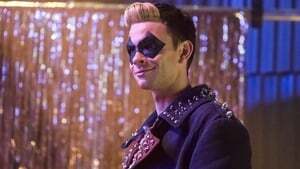 With DeVoe's Enlightenment device nearly complete, in order to disable it The Flash and his team must put their faith in an unlikely ally – Amunet Black. Meanwhile, Harry hits an all-time low when the "Council of Wells" kicks him out but then Cisco introduces him to the "Council of Harrisons." When DeVoe assaults an A.R.G.U.S. 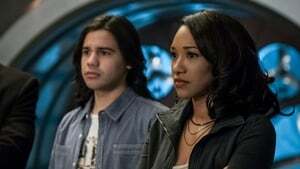 facility to complete his Enlightenment Machine, Barry realizes the only way he can stop him is if he allows Cisco and Caitlin to accompany him into the facility. 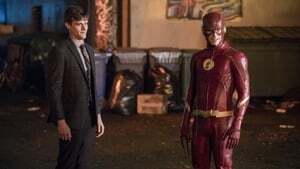 Still shaken by Ralph’s death, Barry isn’t sure he wants to risk any more of his friends’ lives and considers taking on DeVoe solo. 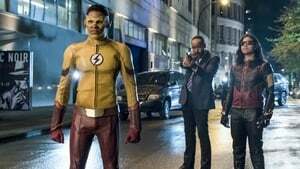 Team Flash gets help from a surprising ally in their battle against DeVoe.